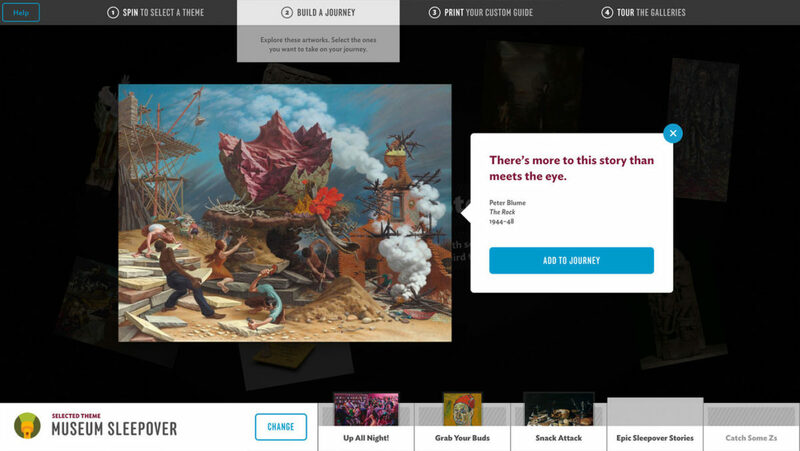 JourneyMaker is an interactive touch table experience at The Art Institute of Chicago that turns a family museum visit into a personalized scavenger hunt. 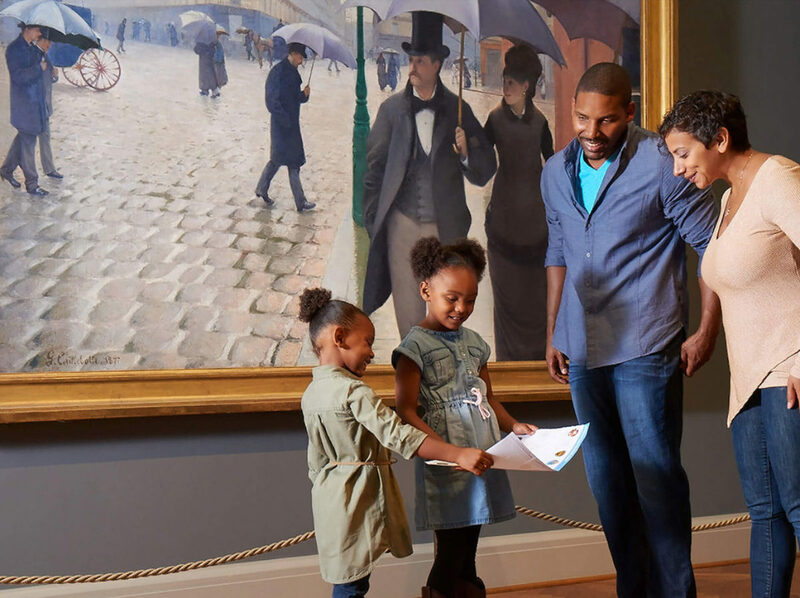 Visitors select artworks from the museum's collection based on kid-friendly storyline themes, print out their own Journey Guide filled with information, activities, and way-finding directions, and set out into the museum on their own art adventure. 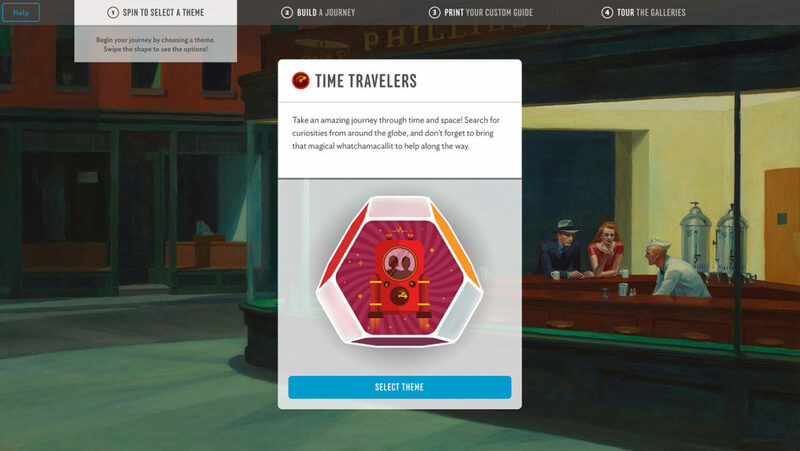 Visitors drag and spin a magical, gem-like 3D solid to select from one of the eight storylines—such as Strange & Wild Creatures, Time Travelers, Superheroes, and Museum Sleepover—each with its own animated face. 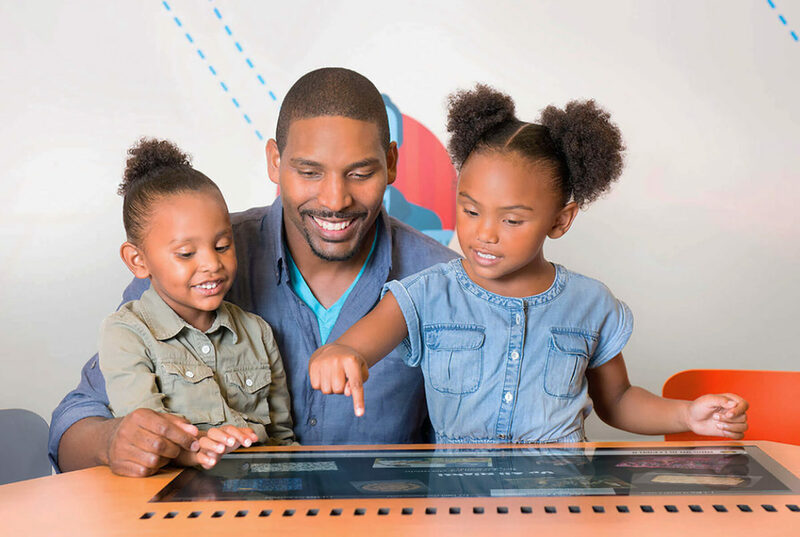 The interactive is also available as a desktop web experience that allows families to create and print their Journey Guides at home.